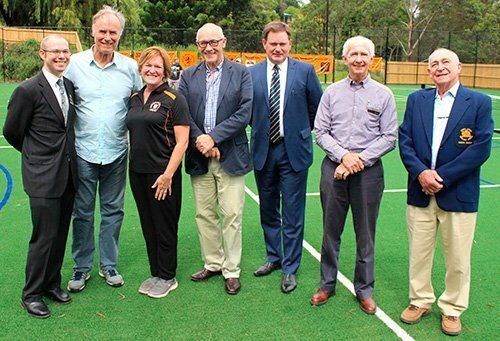 NETBALLERS, tennis and soccer players of North Epping celebrated the official opening of two new multipurpose community courts yesterday, providing modern facilities for the community to meet and participate in leisure activities. 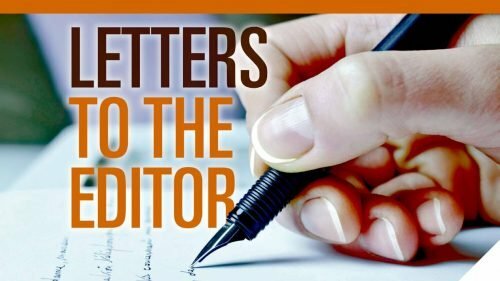 Minister for Regional Development Fiona Nash said the new courts will encourage people of all ages to participate in sporting activities, providing for a healthier lifestyle and social wellbeing. “I aim to help build the kinds of communities our children and grandchildren want to either stay in or come back to, and sporting facilities like this do just that,” Minister Nash said. 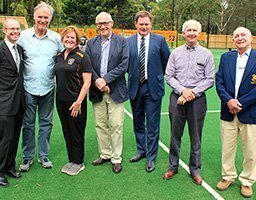 Bennelong MP and Australian tennis legend John Alexander joined members of the community at the official opening, accepting an invitation to take on Epping MP Damien Tudehope in a ‘friendly’ tennis match. “What a great day for a tennis match! The new courts look great, and bring back memories of training for the Davis Cup,” Mr Alexander said. Deputy Premier and Minister for Regional NSW, John Barilaro, said the project involved the construction of two multi-purpose courts, the installation of lighting, a sealed car park and access pathways. “Council estimates that the multi-purpose courts will generate up to 40,000 visits a year, including many sporting teams, which will support the local economy and drive growth,” Mr Barilaro said. Mr Tudehope said it was great to join members of the NorthEpping community to celebrate the opening. “I am really proud to see the completion of the new courts, perhaps the next John Alexander will train right here,” Mr Tudehope said. 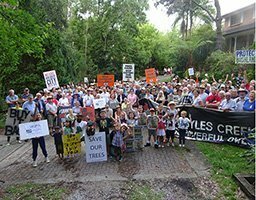 This project was jointly funded by the Coalition Government ($50,000), NSW Government ($14,000), Hornsby Shire Council ($150,000), North Epping Rangers Sports Club ($111,000) and Bendigo Bank Epping Branch ($75,000). L-R: “Deputy Mayor of Hornsby Shire Council Cr Michael Hutchence; Bennelong MP John Alexander, Vice President of North Epping Rangers Sports Club Karen Michie; Epping MP Damien Tudehope, Club sponsor Cale Property Agents Tim Cale, Chair of Epping Community Bank Branch Ð Bendigo Bank Graham Boyd, President of North Epping Bowls Club Bill Daley.